With the tragic events from this year’s Boston Marathon, Larry shared an article looking at impact of the internet with regards to reporting. There were many images of potential suspects available on social media and the web. Sadly, not all of them were the suspect authorities were looking for. Mat mentions that priorities from media outlets focus on being first instead of being right. First there was House of Cards, now there’s Hemlock Grove. Netflix has released another original property on its streaming service. House of Cards was extremely successful for Netflix. Not only this, Amazon launched a few pilots of its own. But wait, there’s more. Gina states that her sources were mentioning a set top box from Amazon for video content. Having competition within ranks of television is a good thing for the consumers. HBO better watch out for Netflix and Amazon. Netflix better watch out for Amazon as it’s proposing a set top box that will more than likely be a hub for Amazon’s ecosystem. Gina was excited about the iTunes 10 year birthday. We all have to admit that Apple with Steve Jobs and Steve Wozniak really changed the game with music consumption and accessibility. Napster disrupted the musical artists by allowing easy sharing of tracks without returning any royalties. 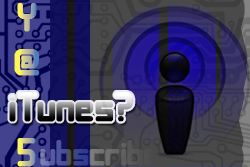 Jobs and Wozniak saw the gap and persuaded the artists to allow distribution from iTunes. Speaking of Steve Wozniak, Gina said we should give him a call while we were recording. We did. He answered! Short call, but who cares. It’s Mr. STEVE WOZNIAK! Microsoft is doing research with speech to text, but also in Chinese. Larry shared this story. It’s an amazing video of the demo. I honestly thought the speech to text capability with Google is quite good. I have a southern accent and the synthesis is not bad at all. Now you add this additional feather in the hat of Microsoft where it’s taking spoken English to Chinese. Quite impressive and gives a great outlook for this tech. Context can still be a challenge in this tech, but it’s still promising. In other thoughts, should we in the tech industry dive more into Mandarin as a second language? Makes sense to me. Eric Schmidt mentions that soon “everyone on Earth will be connected” in the book The Digital Age. Duh? The way technology has progressed just in the last ten years foreshadows that quite boldly. Everyone may not accept this fact, but it’s definitely on the horizon. Larry wrote on his blog about Google Fiber now coming to Provo, Utah as well. With Google slowly spanning across the country, what’s going to stop Google from becoming an internet service provider? Google has the money, has the smart engineers and the moxy to take on current ISP’s. Think of it, Google with gigabit internet speeds coming into your homes, FREE WiFi throughout metro areas and really low rates per month for this service. Can someone say “sign me up?” This could be a great revenue stream for Google to see the traffic patterns for ads and other research needed in future products. So come on, Google. Let’s get it going! Those of you running WordPress blogs may want to look into beefing up your site’s security. A new threat on the “admin” accounts have been mentioned on the web. Mat discusses how using Google Authenticator can help with this matter. Thank you so much for checking out our show. We truly enjoy our listeners and are grateful. Be sure to jump over to our YATS Community on Google+. We have great discussions and usually take discussions from the community to mention on the show. 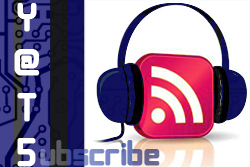 Be sure to subscribe and rate our show in iTunes, Stitcher and our RSS feed. We’re on Twitter, Facebook and Google+ as well. Be sure to tag us in your social media streams too. Thanks, YATS Squadron!